Monson no. 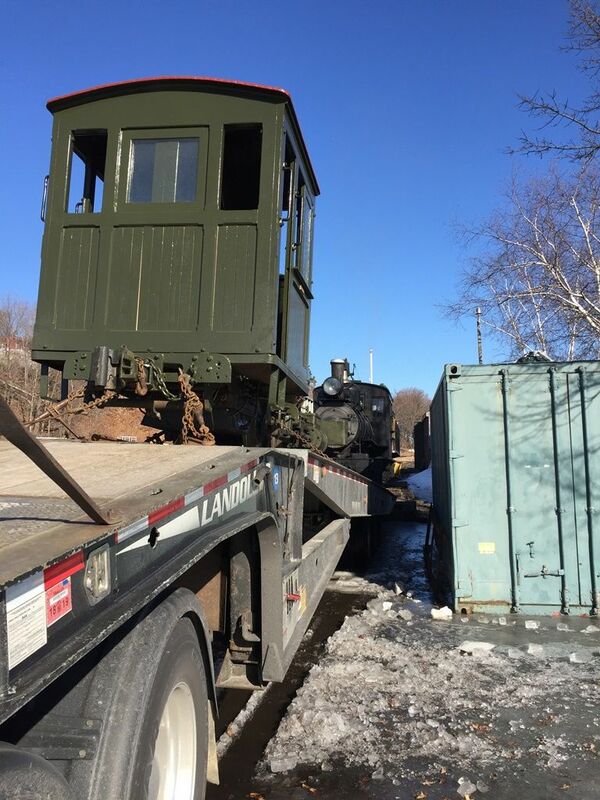 3 arrived at Sheepscot today for spring work weekend service. 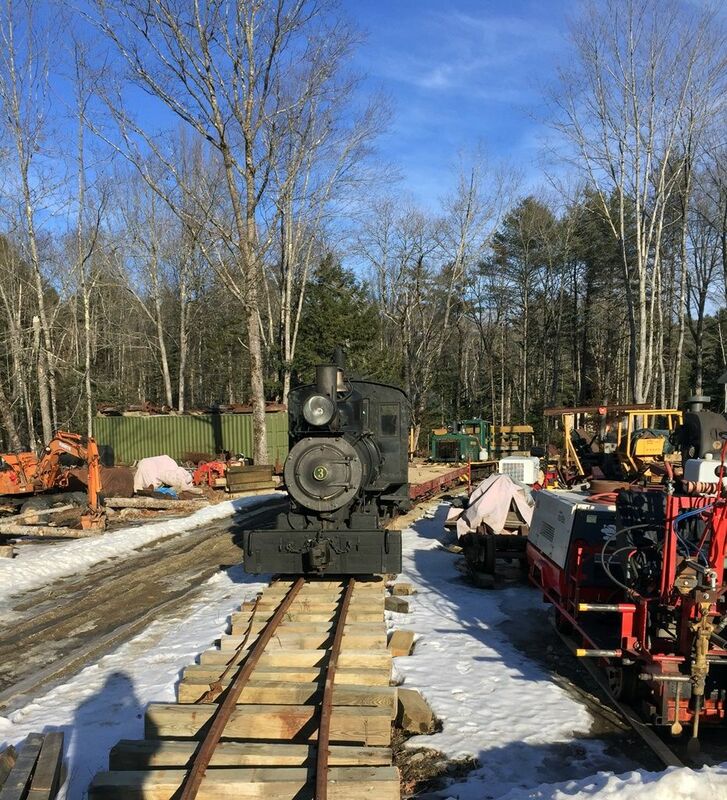 The plan is to have both 9 and 3 hauling ballast trains this spring down the mountain. No. 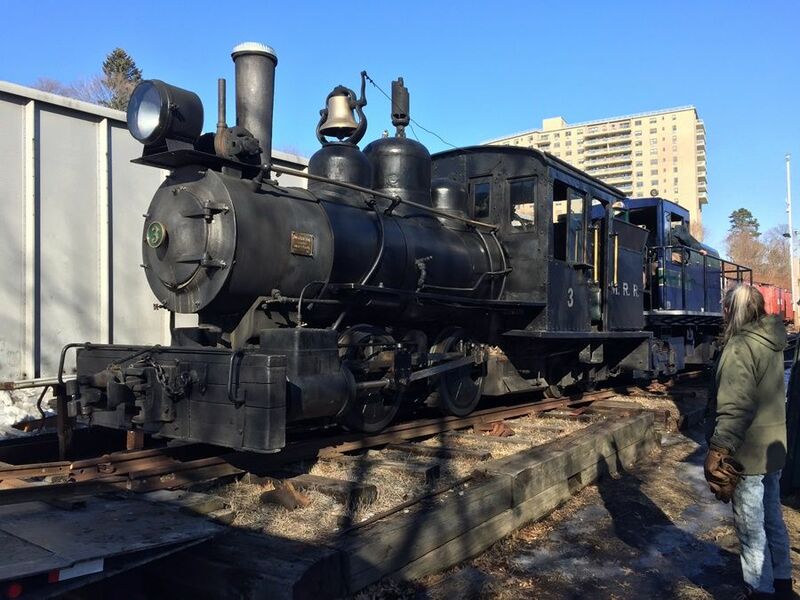 3 needs an annual state boiler inspection along with 9 so 3 was brought up to Sheepscot so both locomotives could be inspected at the same time. No. 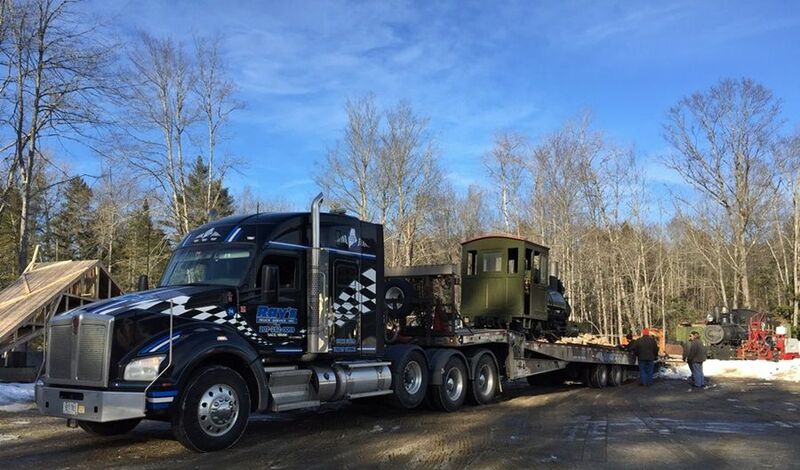 3 shared the truck up from Portland with Boothbay's S.D. 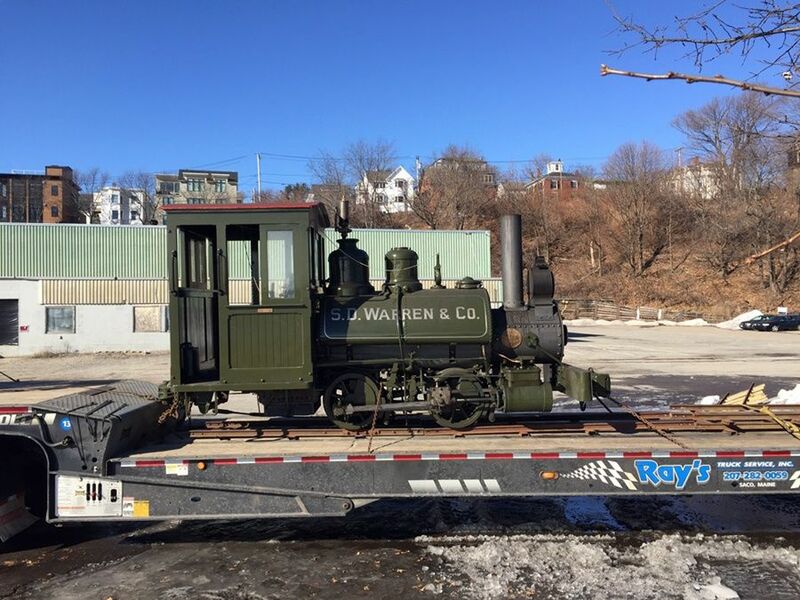 Warren locomotive. The S.D. 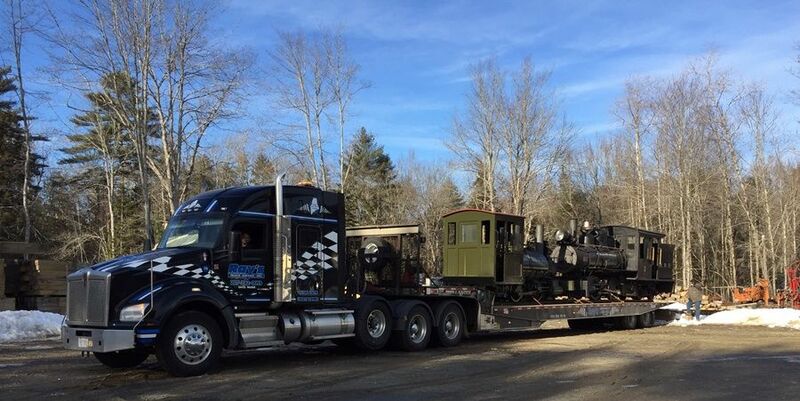 Warren locomotive was coming back from the Amherst show in Springfield, MA. MNGRR no. 1 pulling no. 3 out of the engine house in Portland. 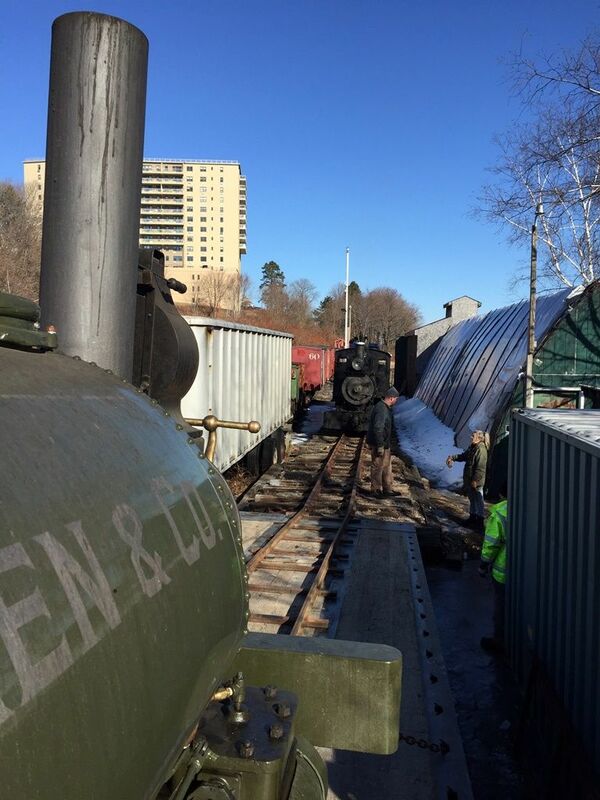 The truck backed into MNGRR's ramp track with the S.D. 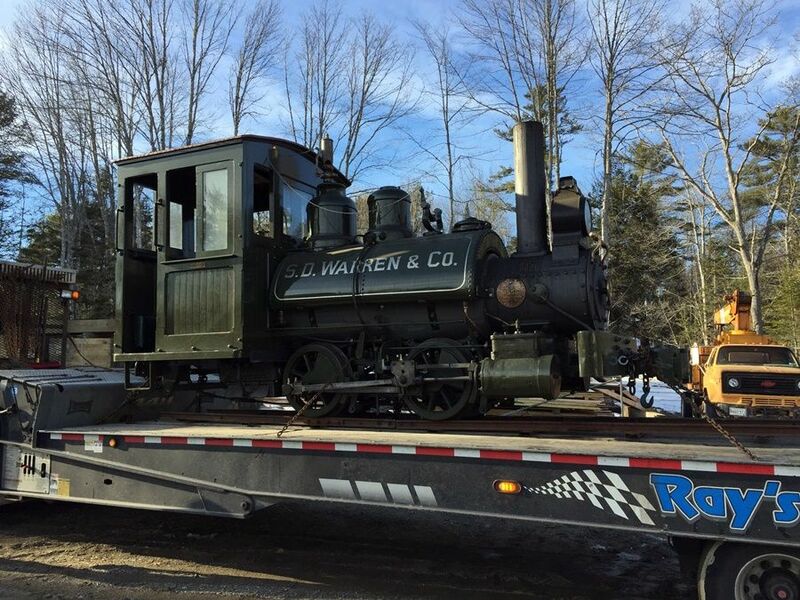 Warren locomotive. No. 3 being pushed up the ramp track and onto the trailer. Loaded up in the Portland Company parking lot. 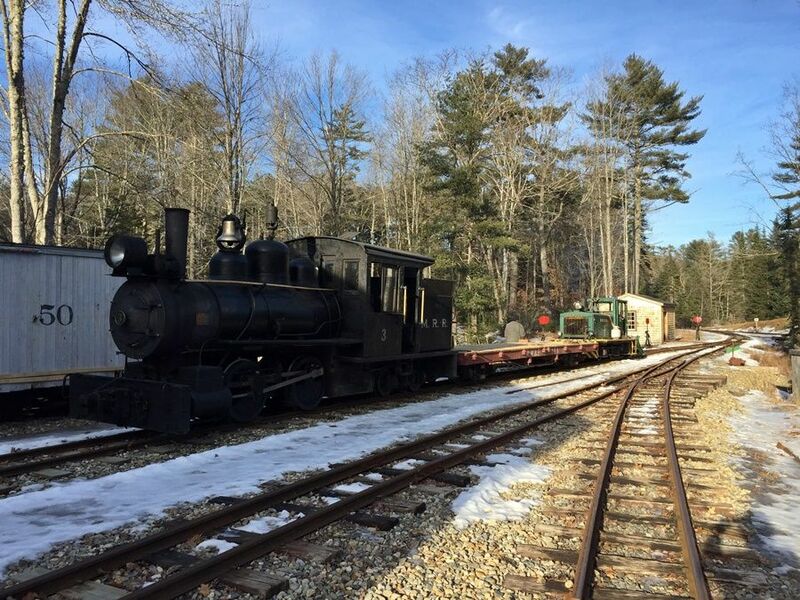 Backing into the ramp track at Sheepscot. No. 3 off the trailer. The S.D. 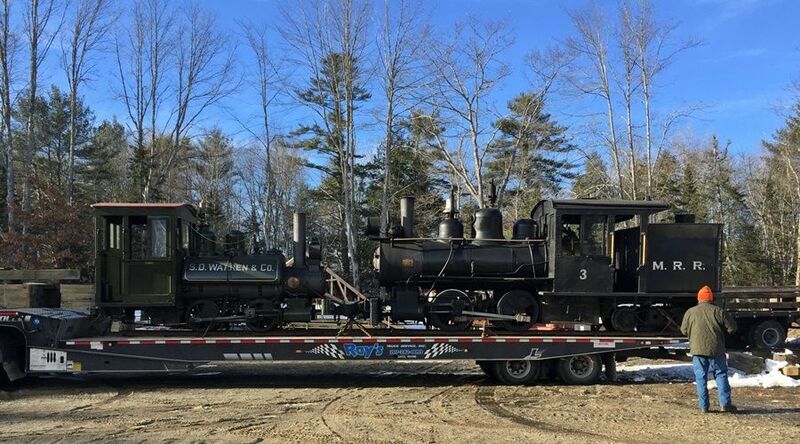 Warren locomotive continued it's truck trip over to Boothbay. No. 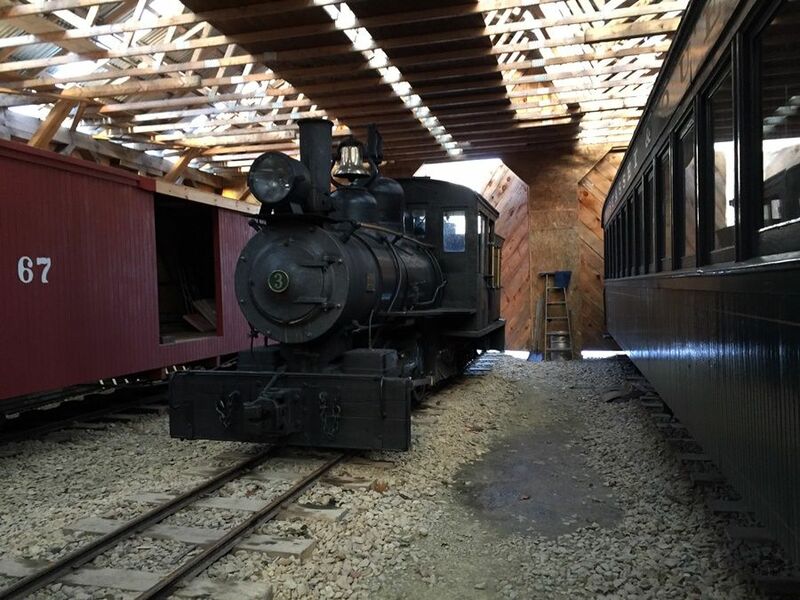 3 being moved into the car barn. 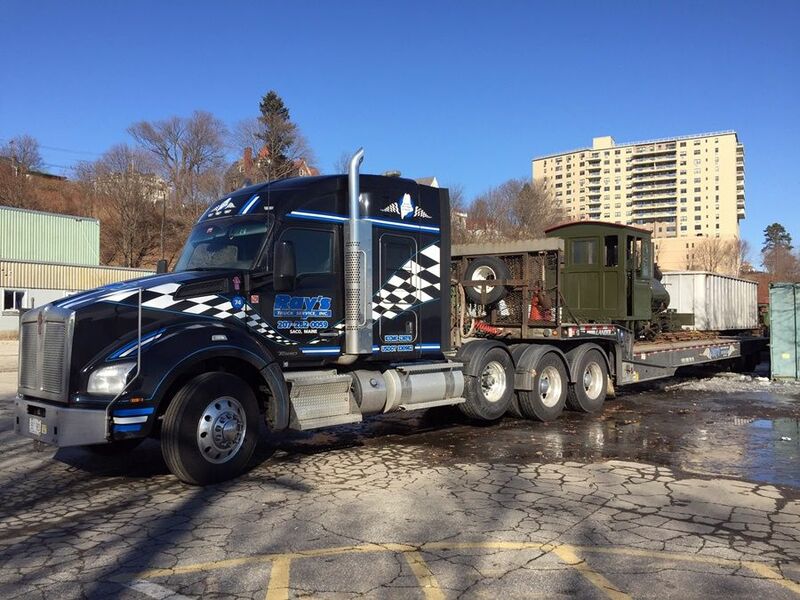 Nice shots of the SD Warren loco. The little S.D. Warren locomotive I haven't seen it for years and it looks amazing! Great color selection! As my daughter said "its huggable"
At some point when I asked about it, Brian said it would haul anything Boothbay or we have. At 5 miles per hour. I hope nobody gets a nose bleed from those high speeds! Sure glad I'm not the driver tasked with backing up that rig so that it lines up properly with the woods track. Or is it equipped with some sort of digital-optical wizardry that automates the task? Steve, the Woods Track is completely analog. No digital wizardry here. More like the woods track lines up with the truck, right? 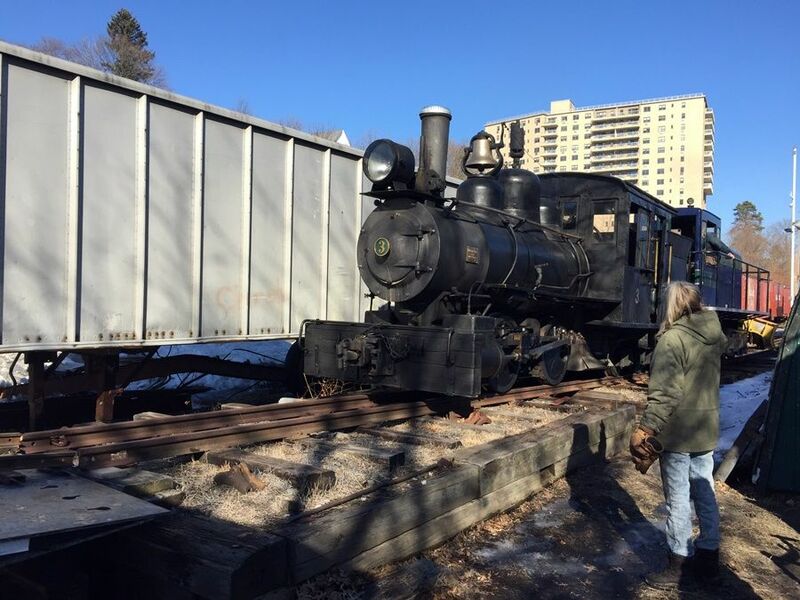 Would be neat to have the SD Warren engine make a guest appearance on the line for a photographers special. I'm sure we can recreate some log cars out of our flats. Its water capacity is extremely small. They have to get water after they do go around the loop at Boothbay twice. 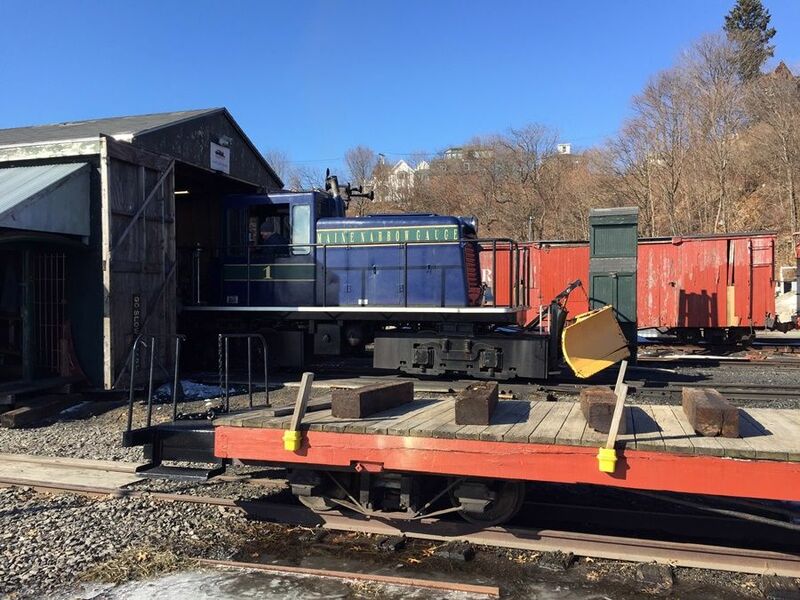 The little Warren engine could be used around the yard at Sheepscot to pull the passenger train north to clear the south switch at the station, or to move cars around the shop and the car house. The water tank would never be far away. 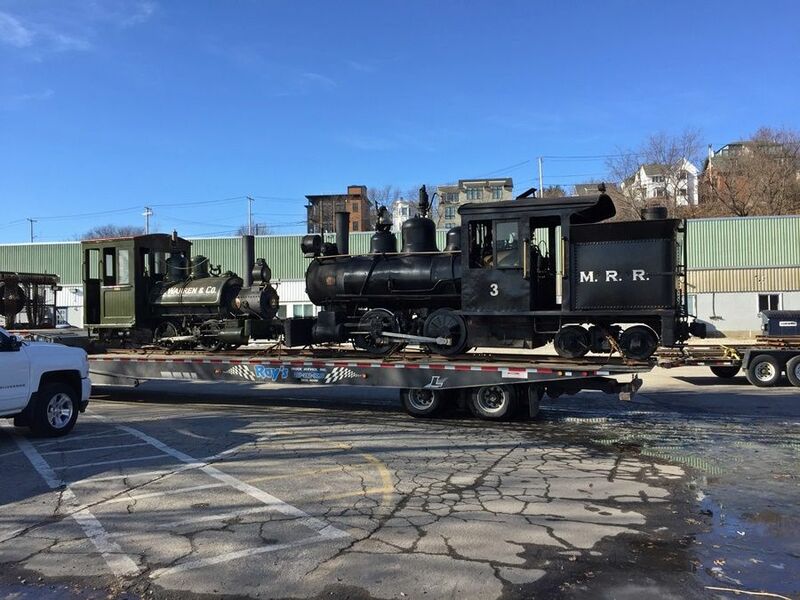 I have seen these small engines at a couple of other railroads, like the Cripple Creek and Victor where the 'engineer' is also the 'fireman', the 'conductor' and the 'tour announcer'. If the information I read is right, the Warren engine has the same bore and stroke as #10 with two inch smaller drivers. 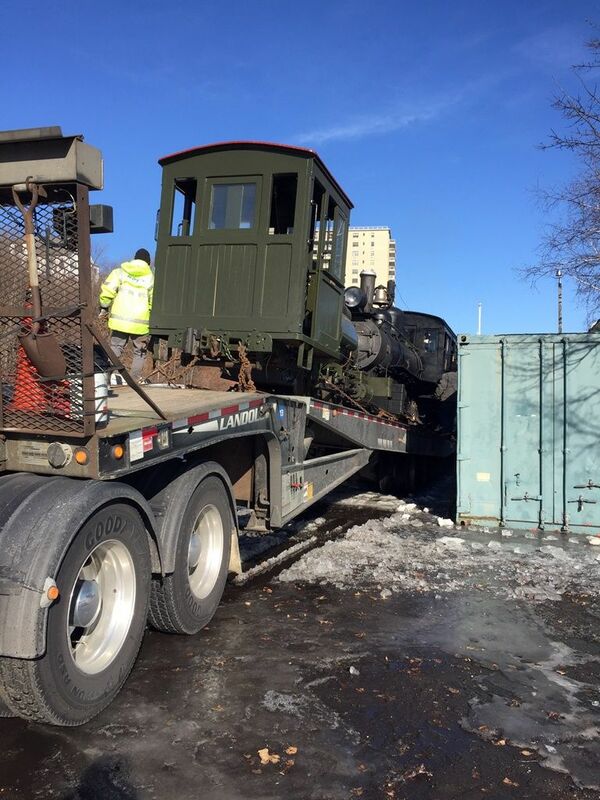 That would explain it's pulling power and slow speed. 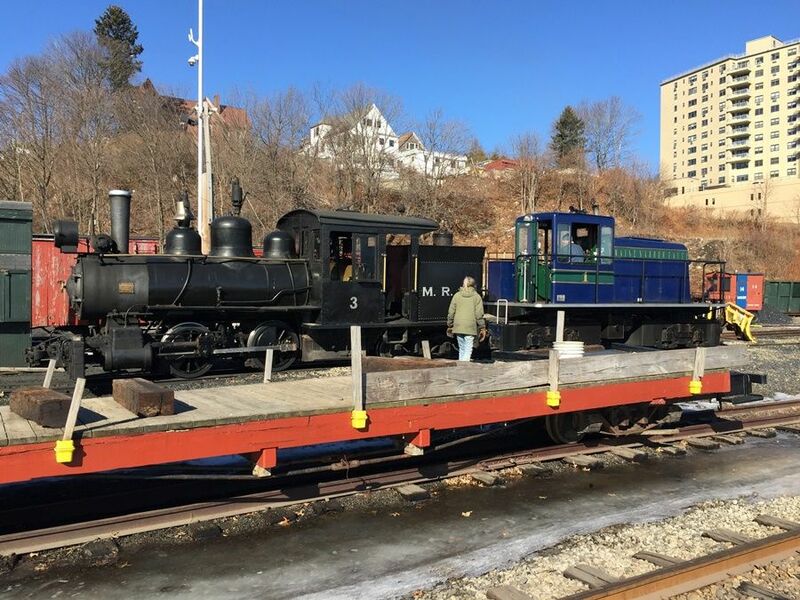 It's amazing how #3 looks like a giant next to the SD Warren engine! The Boothbay folks sure did a nice job on that restoration! I believe that SD Warren had some pretty far ranging plant trackage. 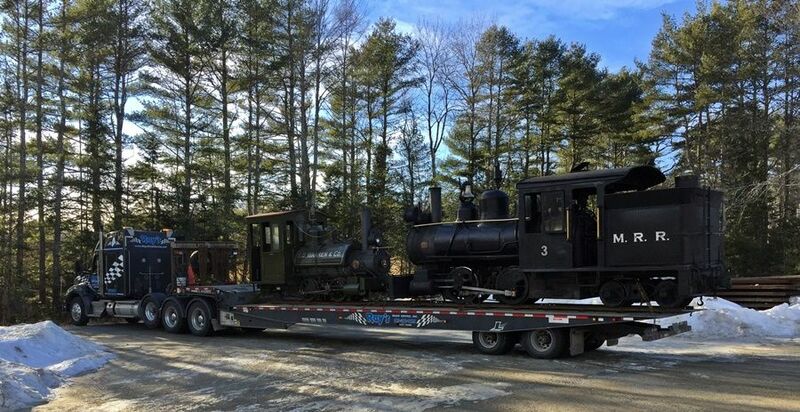 I wonder if they might have had an auxiliary water tender for the longer hauls.